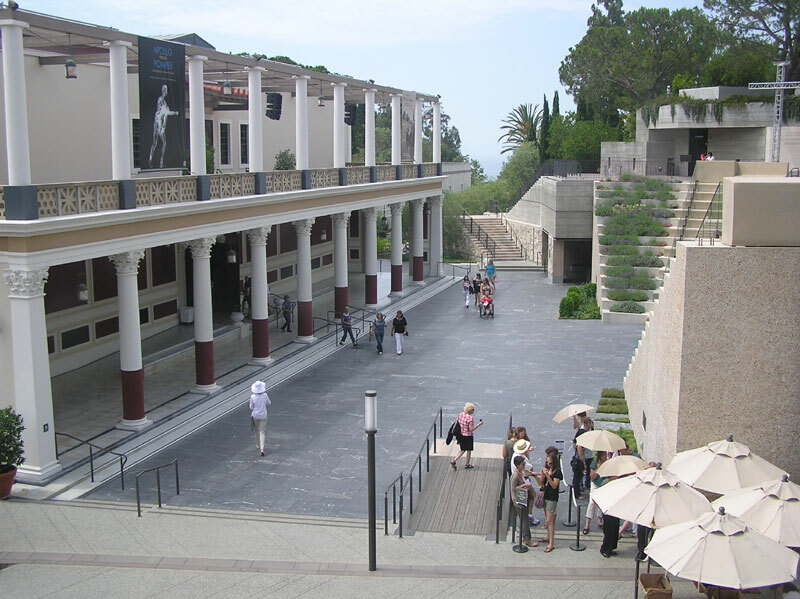 On Thursday, July 7, 2011, we drove to Pacific Palisades, CA to see the Getty Villa, located just off the Pacific Coast Highway. 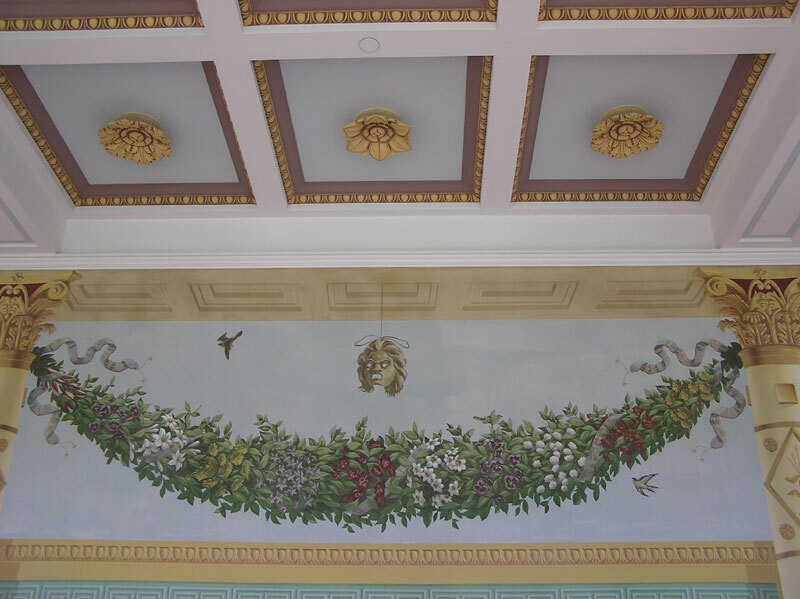 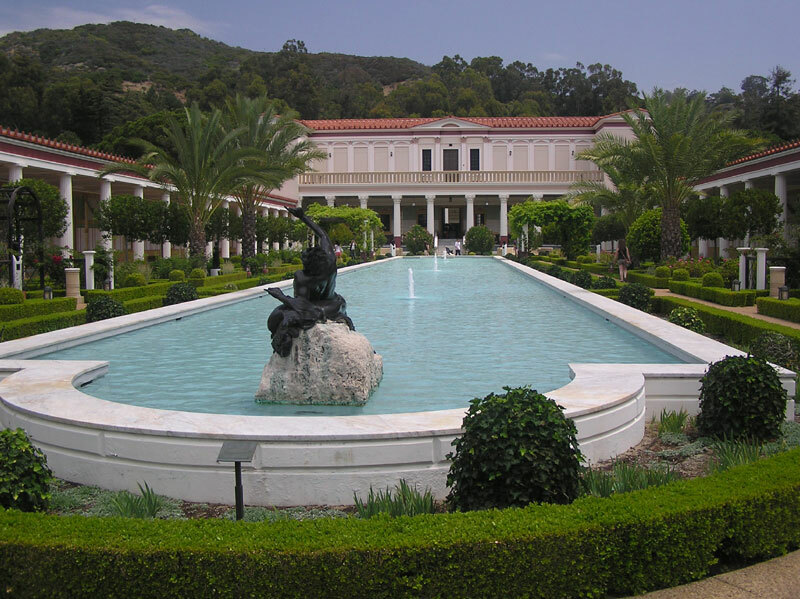 In 1968, J. Paul Getty decided to re-create a first-century Roman country house modeled after the Villa dei Papiri in Herculaneum, which was buried by the eruption of Mount Vesuvius in 79 A. D. It opened to the public in 1974 and was closed in 1997 for renovations and then re-opening in 2006. 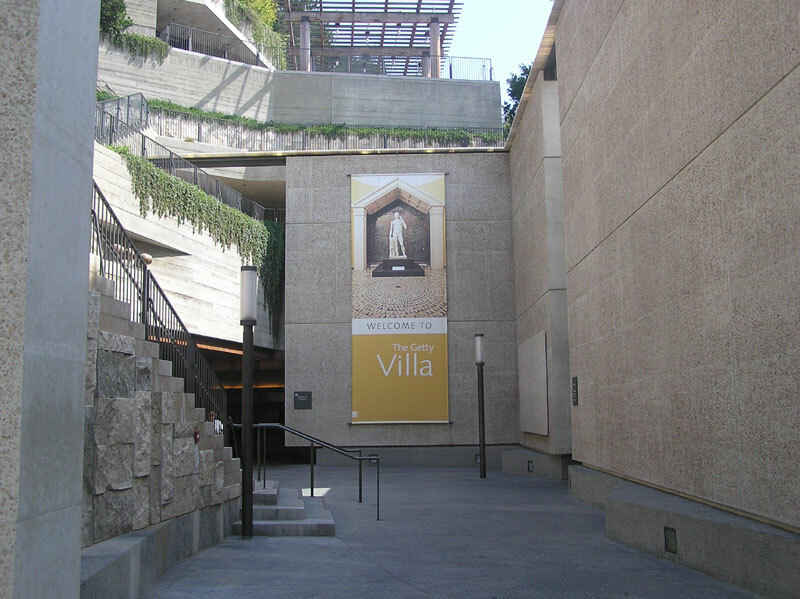 The Museum is on the left, an amphitheater is on the right and the Pacific Ocean is the far center. 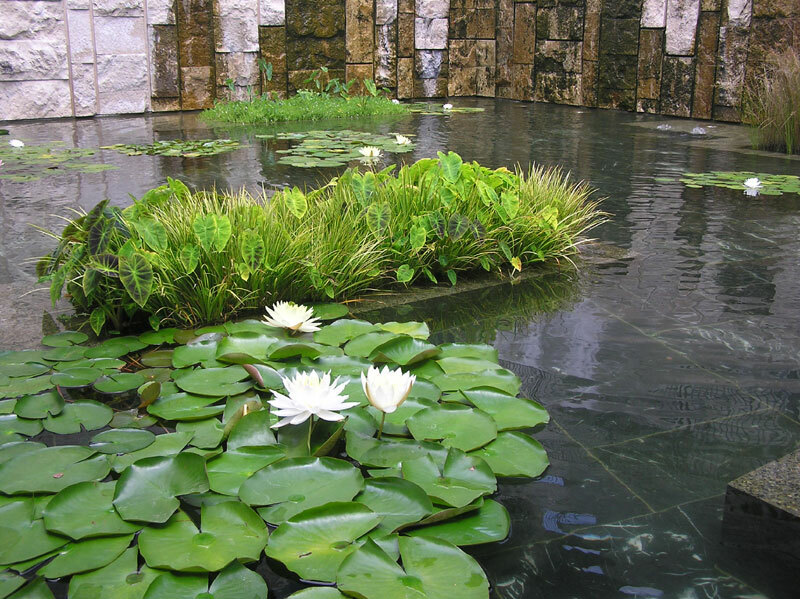 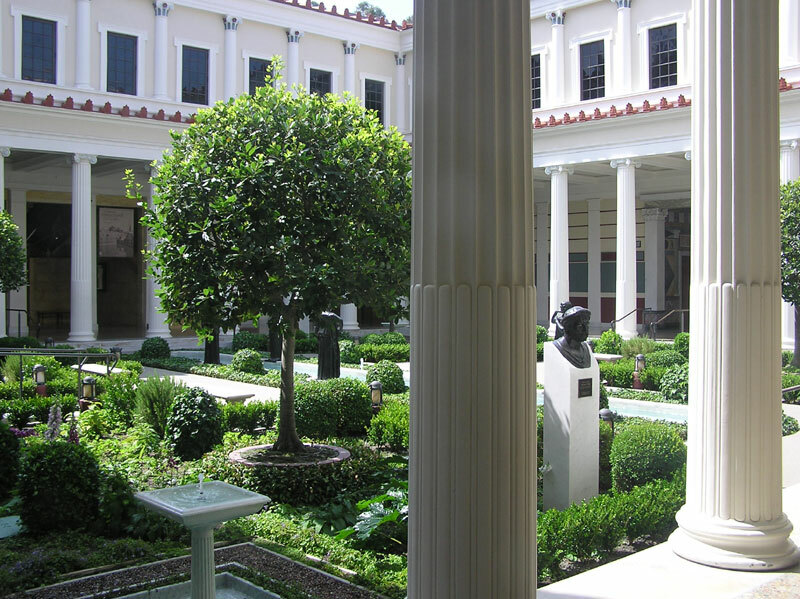 The Museum is square shaped that surrounds an interior, columned courtyard (inner peristyle). 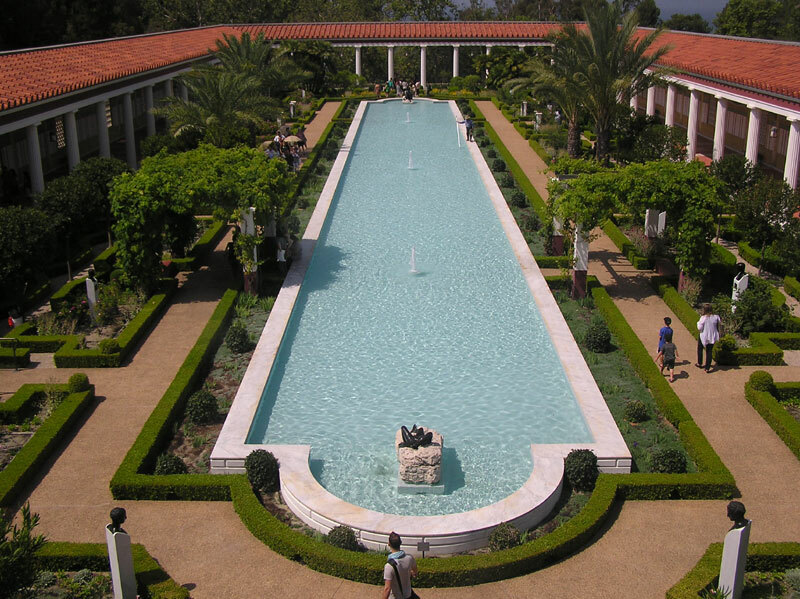 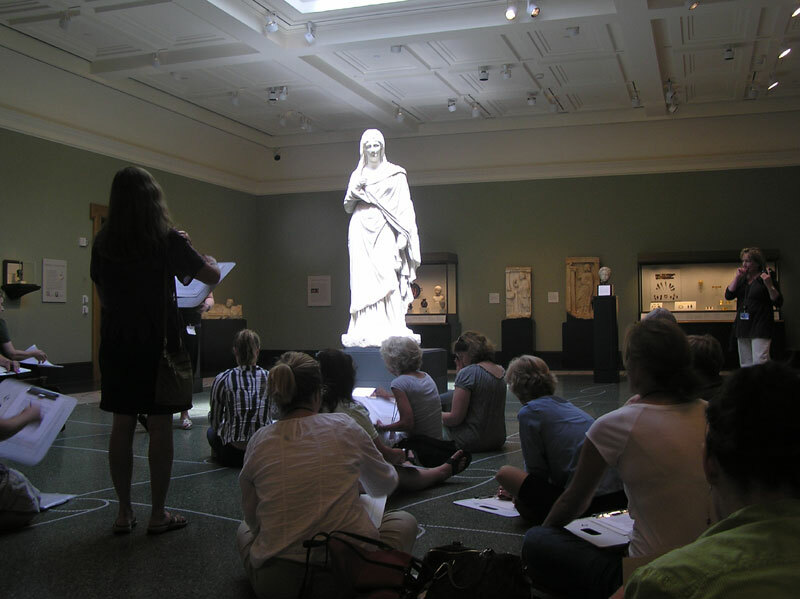 The collection includes over 1,200 works of art of Greek, Roman and Etruscan antiquities. 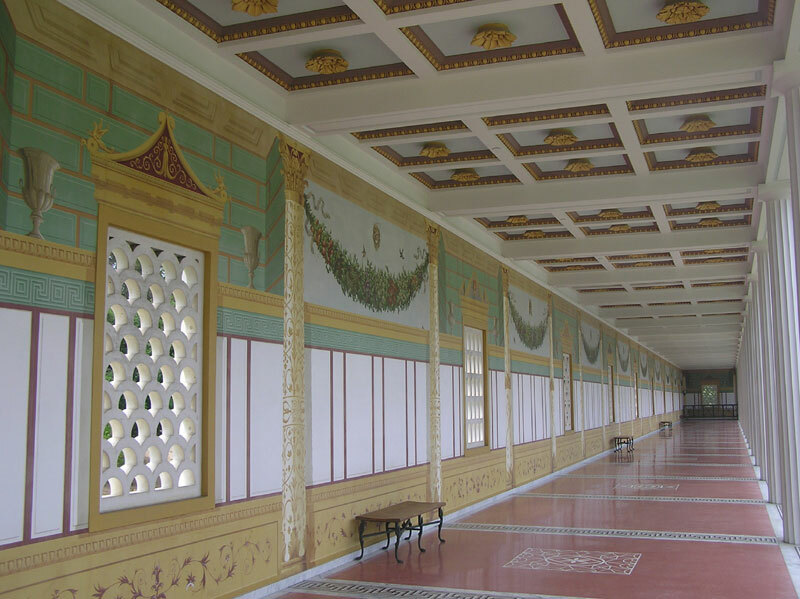 Materials represented are: terracotta, marble, silver, gold, bronze and glass. 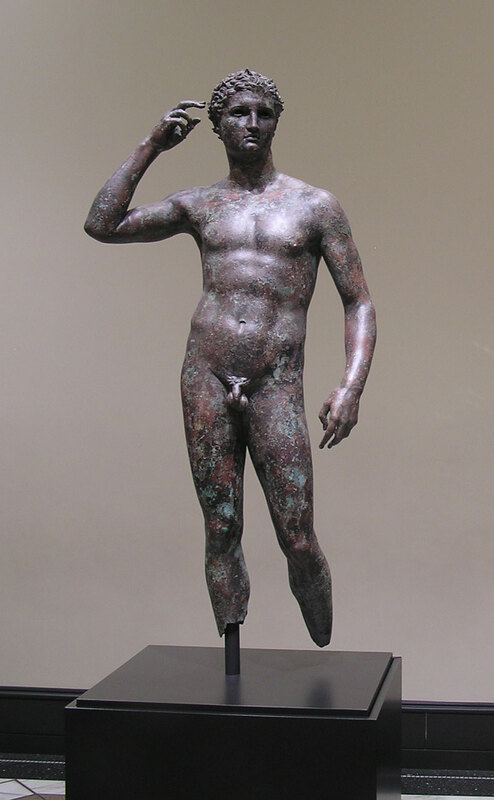 The bronze sculpture below is the "Victorious Youth," also known as the Getty Bronze, which dates from 300 - 100 B.C. 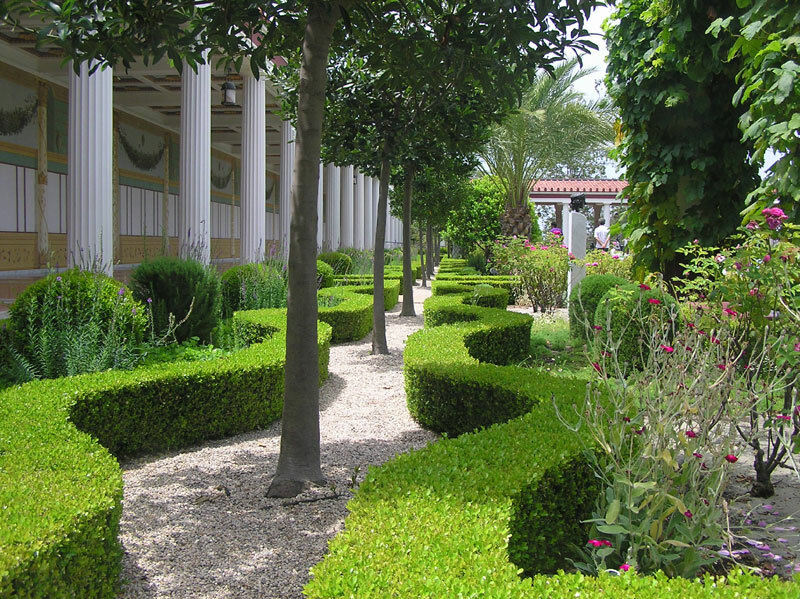 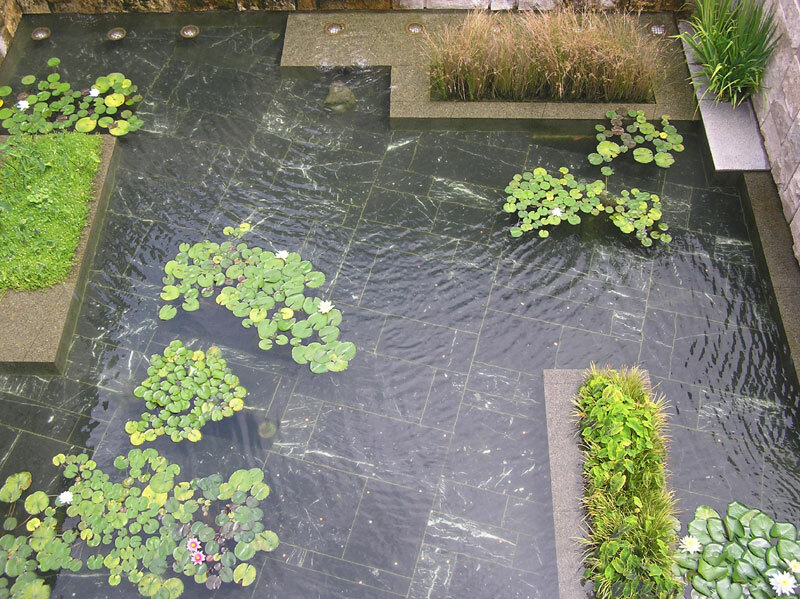 There are gardens throughout the sixty-four acre site. 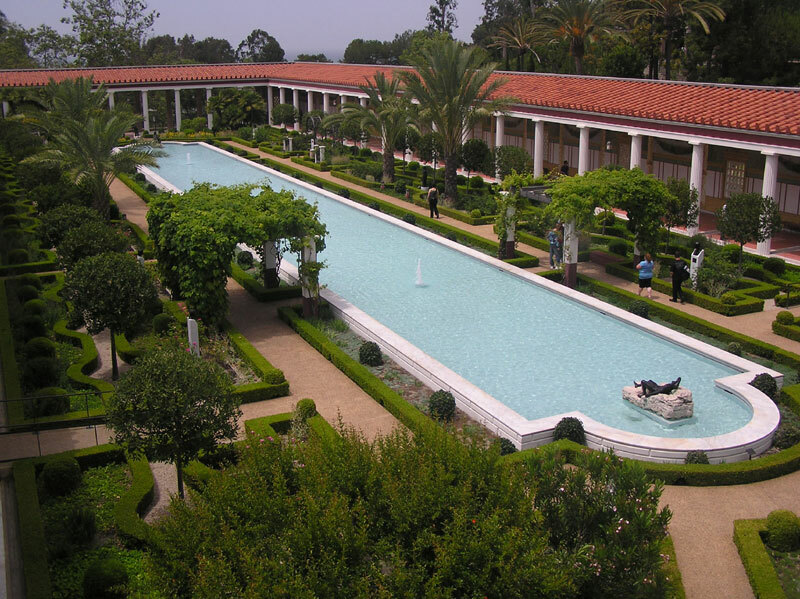 The outer peristyle is another columned courtyard directed towards the Pacific Ocean. 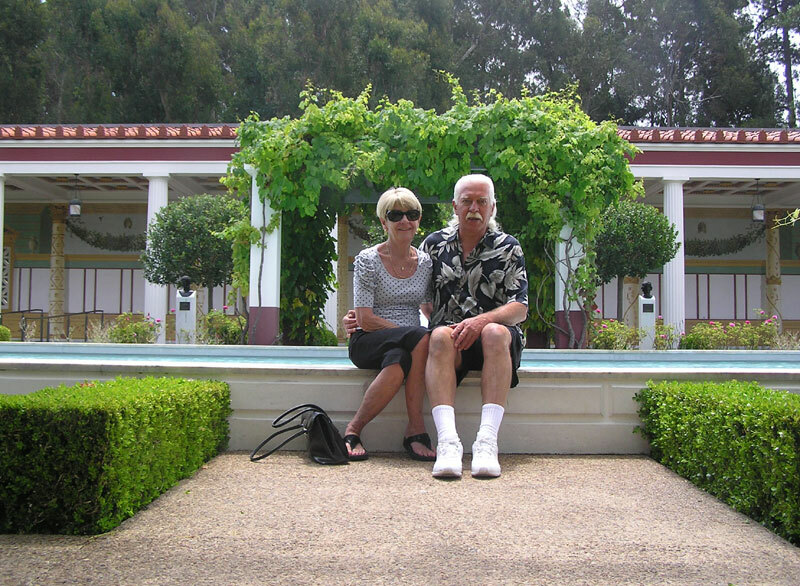 The outer peristyle is a comfortable place to hang out!